"Accrington Stanley... who are they?!" - it's the Milk Marketing Board advertising slogan that has followed the League Two club around since the 1980s. But after securing promotion to the third tier of English football for the first time since reforming in 1968, Accrington are happy to lap up the attention and have been recognised by a major supermarket chain with an appropriately milky honour. 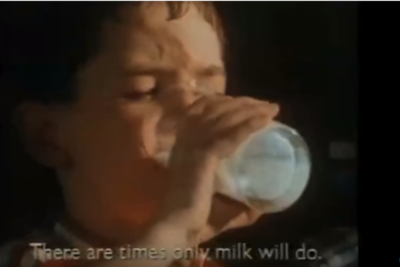 In the advert, a young boy tells his friend that Liverpool legend Ian Rush told him that if he didn't drink lots of milk he'd "only be good enough to play for Accrington Stanley". "Accrington Stanley... who are they?!" comes the response. "Exactly," replies the first boy after taking a big gulp of the white stuff.